If this is your first time using TubePress, you’ll need to perform some initial configuration before you go further. These are one-time jobs that should take just a few minutes. This article is part of a series on getting started using TubePress in standalone PHP. This article applies to TubePress when used in standalone PHP. WordPress users should refer to this article instead. You’ve downloaded and installed TubePress to your website. Great! If this is your first time using TubePress, you’ll need to perform some initial configuration before you go further. These are one-time jobs that should take just a few minutes. During installation, you uploaded the tubepress-content directory to your web server. Inside this directory, there is a file at tubepress-content/config/settings.php. Using FTP, download settings.php to your local computer and open it up with your favorite text editor. * 'base' is the web-accessible URL of your TubePress installation. * 'userContent' is the URL to your TubePress Content Directory. * 'ajax' is the URL where TubePress's client-side code should send its Ajax requests. We'll need to set real values for the keys base, userContent, and ajax. Set base to the absolute URL to your TubePress Pro installation. Set userContent to the absolute URL to your tubepress-content directory. Set ajax to the absolute URL to ajax.php, which is right inside your tubepress-content directory. Save settings.php and re-upload it to your web server, overwriting the file that's already there. Also inside the tubepress-content directory, there is a file at tubepress-content/ajax.php. Using FTP, download ajax.php to your local computer and open it up with your favorite text editor. Update the "require" line to set the absolute filesystem path to web/php/ajaxEndpoint.php, which is stored inside your TubePress Pro installation. Save ajax.php and re-upload it to your web server, overwriting the file that's already there. 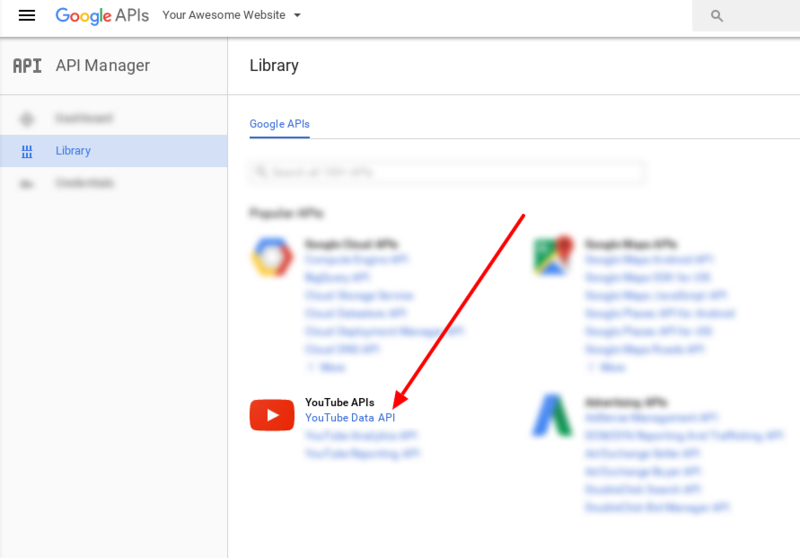 If you are not using YouTube with TubePress, you can skip this section. TubePress needs to regularly communicate with YouTube’s servers on your behalf. To sort out all the incoming requests, and for quota purposes, YouTube mandates that everyone supplies an “API key” with each message. It’s the rough equivalent of showing someone an ID card before you have a conversation. You'll need a Google account. If you don't have one, you can sign up for one for free. Once you sign in, select "Create a project..." from the "Select a project" menu near the top of the page. Enter anything you'd like for the Project name, then click the "Create" button. After the project is created (it will take a few seconds) you should be on the "Overview" page for your new project. Double-check to make sure that your new project name is visible from the menu at the top of the page. 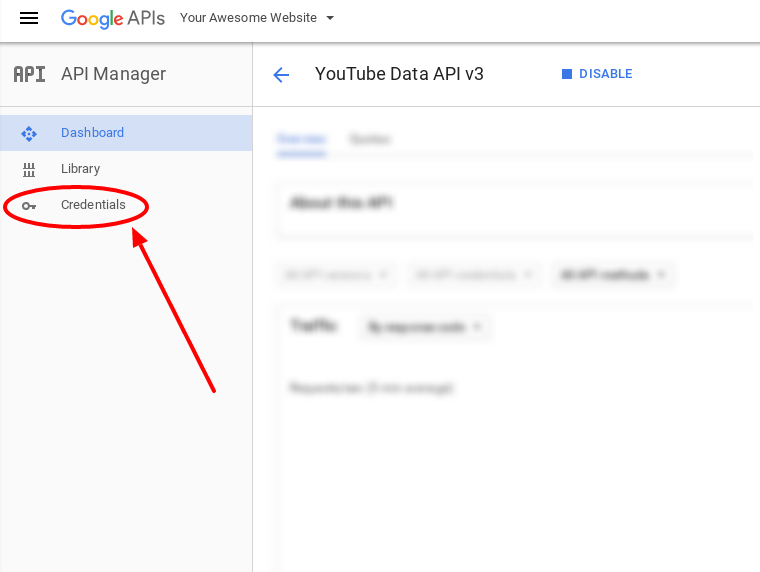 Under the "Google APIs" tab, click the link for "YouTube Data API". Click the "Enable API" button. 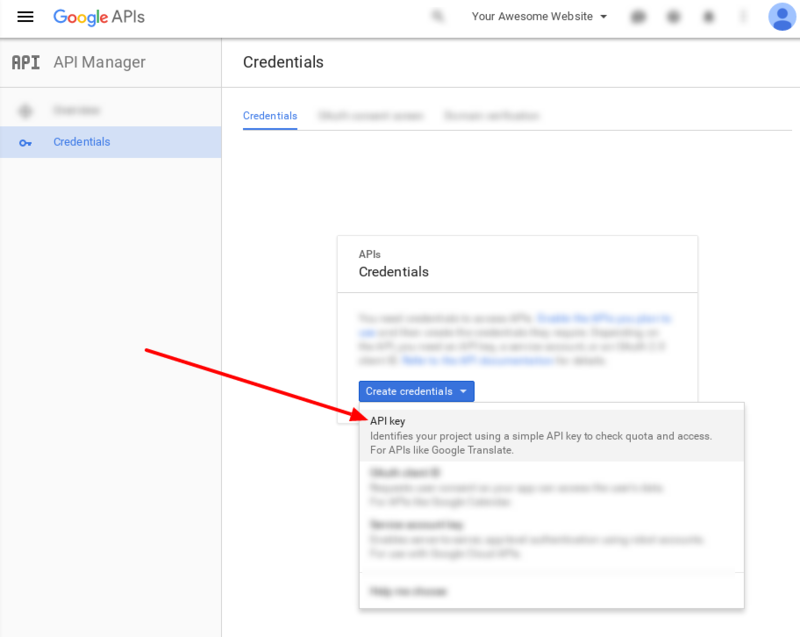 After the API is enabled (it will take a few seconds), click the "Credentials" link on the left side of the page. 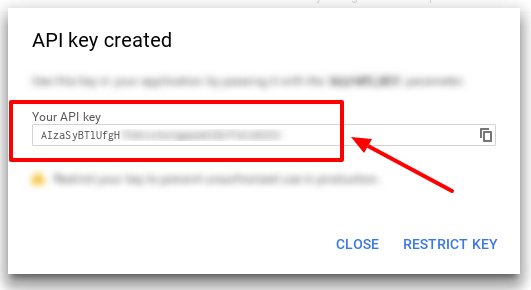 Click the blue "Create credentials" button. 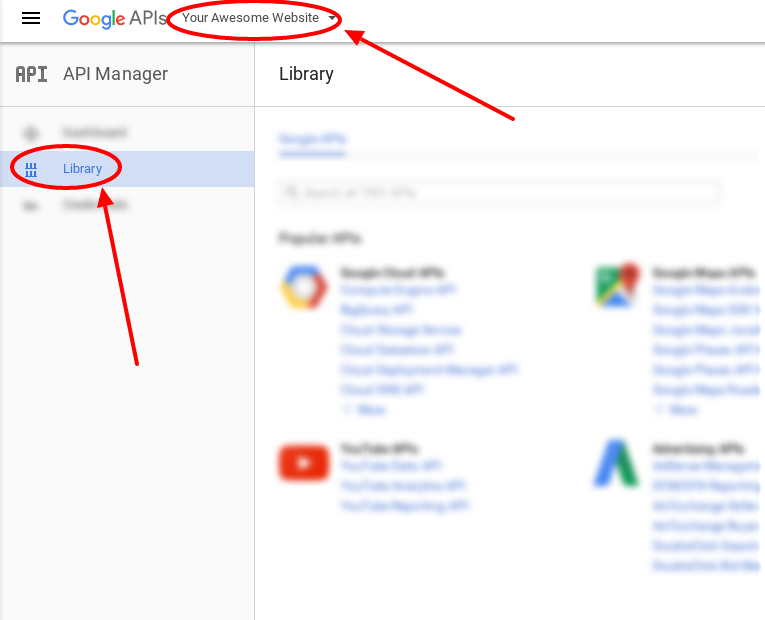 In the dropdown that appears, click the link for "API key". Click the "Server key" button. Click the "Create" button. You can fill in the "Name" field if you'd like, but leave the other field empty. Copy your new API key. Inside your tubepress-content directory, there is a file at tubepress-content/config/database.json. Using FTP, download database.json to your local computer and open it up with your favorite text editor. Change your-key-here to your API key which you copied in the previous step. Save database.json and re-upload it to your web server, overwriting the file that's already there.